Senior Naga People's Front (NPF) legislator T.R. 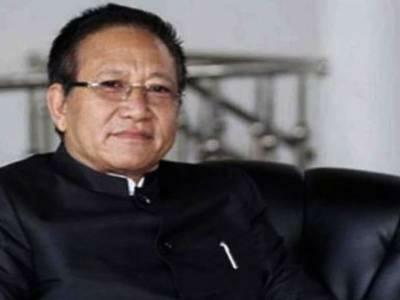 Zeliang was sworn in as the 19th Chief Minister of Nagaland on Wednesday, hours after Governor P.B. Acharya dismissed the Shurhozelie Liezietsu government after he failed to prove his majority in the Assembly.Governor Acharya administered the oath of office and secrecy to 65-year-old Zeliang in a ceremony at the Raj Bhavan here.Zeliang will have to prove his majority on the floor of the House on or before July 22.The newly-inducted Chief Minister will announce the list of his council of ministers after the floor test.